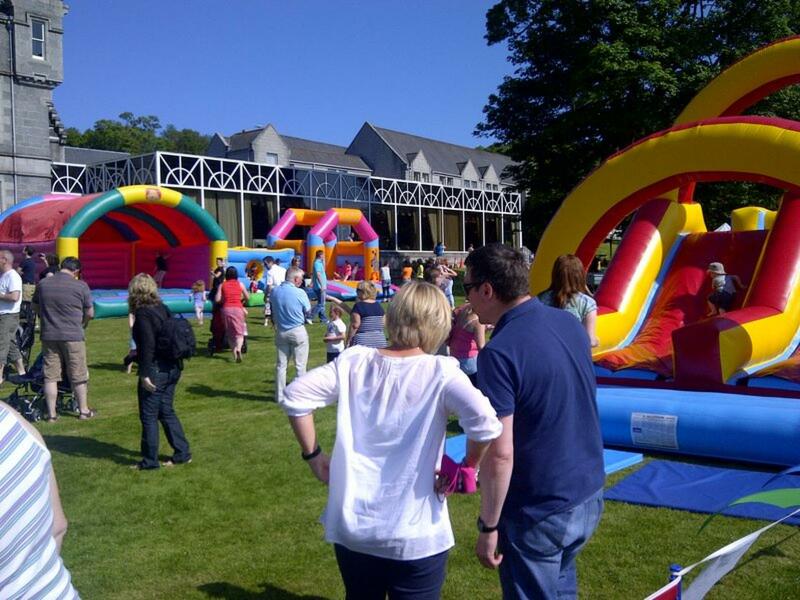 Mercure Ardoe House Hotel was the lovely setting for the gathering from Technip as the sun shone and families turned out in force to enjoy a spectacular afternoon of Corporate Family Fun Day entertainment. The weather was beyond glorious all afternoon and gave a distinctly tropical feel to the proceedings as sun tan lotion was used by the crate load. Inflatable Fun was the focus of the day as there were lots of exciting activities for the little kids and big kids alike from the old favourites like the Assault Course, Mini Quad Bikes and the Bucking Bronco right down to some brand new additions from Chip Shot Golf to the wonderful Barfly. With Face Paints and Glitter Tattoos galore there was plenty of fun to be had throughout the day, especially with Dozer the Clown in his magical arena and lots of competitions to bring out the conpetitive spirit of the guests. 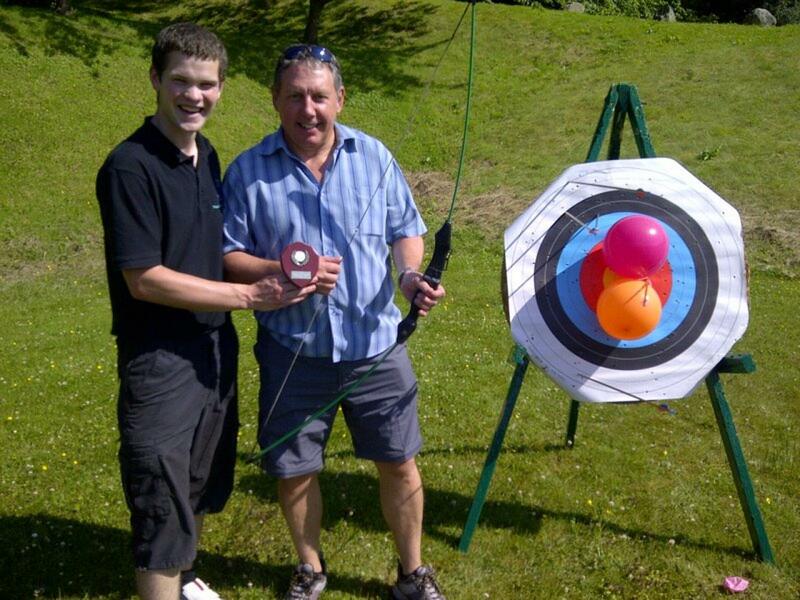 Over at Archery it was down to Graham to channel his inner Robin Hood and show us all how to pop those balloons. 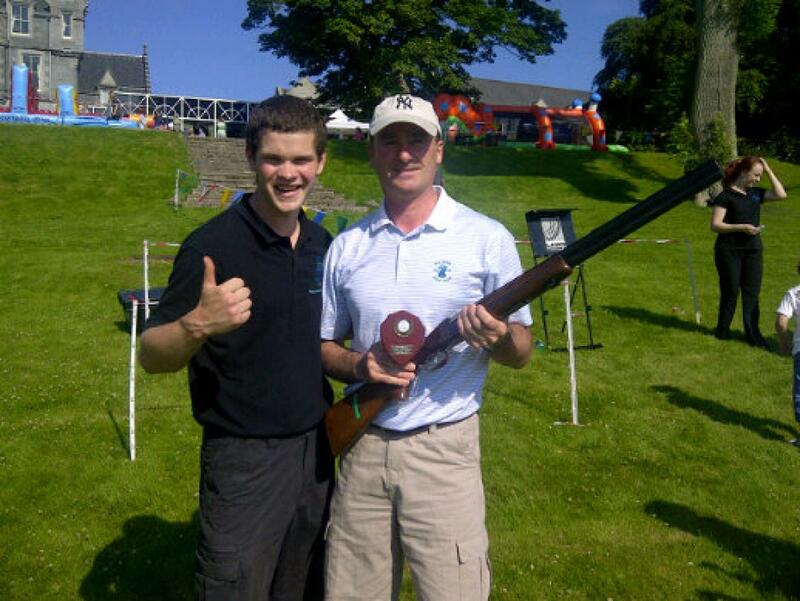 Roger was the champion over at Laser Clay Pigeon Shooting with some rather impressive shooting skills being showcased to the crowd. This was a spactacle to wow the crowds of previous years who recognised that Roger's son was last years winner so clearly skills like those run in the family! There was also some Knockout entertainment in store for the adults and with some wild, wet and wacky fun to be had there was plenty of laughter all round. With excellent performances on Sponge Fling and Raft Race it was a close run thing but it was down to the Shufflers to take first place while Fruit Shoot came second. Lagging slightly were the Young Ones who managed to secure third place leaving Rough and Ready last. Overall the afternoon was one full of fun and laughter with mad it's a Knockout entertainment as well as lots of family fun day entertainment that was enjoyed by all who attended. Linda deserves a huge well done for all of her hard work in organising the afternoon, and for bribing the weather man! Let's hope the weather is this good the next time we see you all.